Xeroderma pigmentosum-Cockayne syndrome (XP-CS) is a member of a group of diseases called DNA repair disorders. These disorders cause problems with fixing damaged DNA. Damage to DNA happens constantly. It is caused by such things as ultraviolet light in sunlight and flourescent lights. Other things that can damage DNA include ionizing radiation from X-rays and other medical devices. Chemicals, normal processes in cells, and other substances or processes can also damage DNA. Because damage occurs all the time, living things have evolved many systems for fixing it. There are proteins that recognize that damage has occured, enzymes that remove the damaged DNA, and enzymes that insert new, undamaged DNA bases. This list is not exhaustive. When a person has a defect in one of these repair systems, disease results. If the problem is in a system that fixes damage from UV light, a person may be extremely photosensitive, with some people burning badly after only a brief exposure on a cloudy day. Overall, DNA most people with DNA repair disorders have a high risk of cancer. XP-CS is a combination of two DNA repair disorders: xeroderma pigmentosum (XP) and Cockayne syndrome (CS). Both diseases affect DNA damaged by UV light. This fact makes XP patients extremely sensitive to the damaging effects of sunlight, which puts them at very high risk for developing skin cancers. Many (but not all) of them can develop a severe sunburn after only a few minutes in the sun. While some XP patients do not have this extreme reaction, all XP patients are sensitive to UV light, in that they cannot repair the damage done by it to their DNA (1). XP-CS patients tend to be in the group that burns easily. This fact actually may have a protective effect against cancer, because patients often naturally avoid UV light as a way of minimizing painful sunburns. The Forgotten Diseases Research Foundation has published an analysis of XP-CS. You may read it here. As noted, XP-CS is essentially zombines the skin problems associated with xeroderma pigmentosum and the multisystem degenerative problems that occur in Cockayne syndrome. Most XP-CS patients show sun sensitivity and easy sunburning from birth or a very young age. They also have neurological problems, which may be obvious at birth or become evident in infancy or early childhood. Some XP-CS patients can survive into adulthood, but most die as children. The photo at the top right shows a young girl with XP-CS. The lighter skin on her nose is called hypopigmentation and is common in XP. The dark freckle-like spots on her cheeks (likely solar lentigines) are nearly universal in XP patients. These spots develop in response to UV exposure and do not generally fade in the way that freckles do. In all XP patients, including XP-CS patients, they tend to occur before the age of 2 and are most common on sun-exposed skin, such as the face (2). Apart from its XP-like skin manifestations, XP-CS is very similar to Cockayne syndrome. Thus, children with XP-CS generally have intellectual disabilities, are very short, and have contractures (shortening of muscles that makes it difficult or impossible to straighten a joint). Children often suffer from severe failure to thrive and appear cachexic (severely underweight, often to the point of looking wasted). The patient pictured at the right was a 6-year-old girl with XP-CS. When the photograph was taken, she weighed ~18 pounds and was ~33 inches tall; 3). People with XP-CS also tend to have a similar facial appearance. With the exception of solar lentigines, XP-CS patients look very much like CS patients. Facial features include sunken eyes, loss of cutaneous fat, and a beaked nose. Please visit our CS page for photos of children with CS. XP-CS may be mild, moderate, or severe. In practical terms, the severe designation means that children are the smallest XP-CS patients, their development is most severely impaired, and their life expectancy is shortest. Thus, intellectual disabilities are significant, and speech and motor skill acquisition may be very limited or nonexistent (3-8). Death may also at a very young age --- such as, before age 2. In the moderate and severe forms, neurological and other problems are typically obvious at birth or in early childhood. Mildly affected patients tend to be somewhat bigger, gain more skills, and live longer (9, 10, and patients XP55BR and XP56BR in 11). Unfortunately, the very small number of XP-CS patients described in the literature makes it impossible for this description to be any more precise. XP-CS is confirmed by testing for mutations in the genes XPB/ERCC3, XPD/ERCC2, XPF/ERCC4, and XPG/ERCC5. The neurological problems associated with by XPB and XPF tend to be milder, while those associated with XPD and XPG are generally (but not always) more severe. Unfortunately, the relationships between mutations and severity/type of disease are not well understood in XP-CS. The US National Institutes of Health maintains a list of laboratories that do XP testing (see link at right). If you are not a doctor and suspect that your child or a family member has XP-CS, check with your family physician, who will compare that person's signs and symptoms with those known to occur in this syndrome. If the doctor isn't familiar with CS, the information in reference 12 may help. Your doctor can obtain a sample from the patient and send it to a testing center. XP neurologic disease (XP neuro). XP neurologic disease is very similar to XP-CS --- so much so that distinguishing them can be difficult. Both are part of the XP family of diseases, making skin manifestations essentially the same in both conditions. Both also involve neurological problems that worsen with time. However, some features do distinguish XP-CS from XP-neuro. 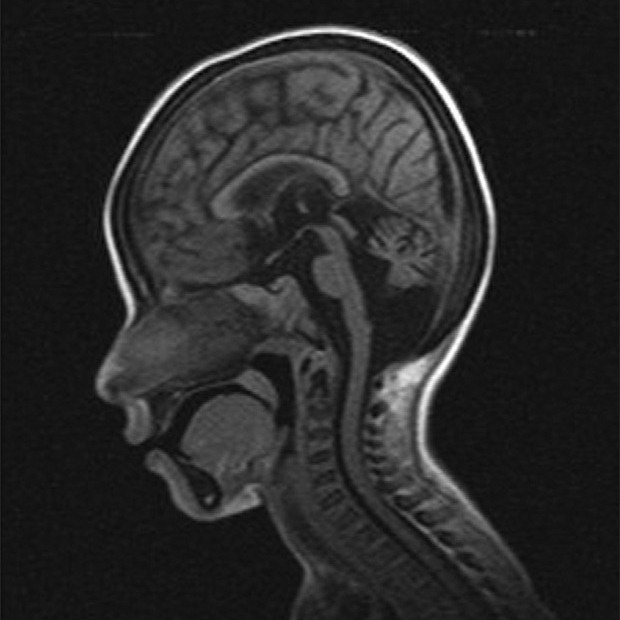 For example, the distinctive CS-like facial appearance described on this page does not occur in children with XP-neuro, although a few adult XP-neuro patients may develop it. In addition, like CS patients, XP-CS patients may experience retinal degeneration. XP-CS patients also often have brain calcifications and a myelin abnormalities called tigroid demyelination. People with XP-neuro tend to have a higher risk of developing cancers, but this fact does not help distinguish the two diseases. The management of both conditions is essentially the same: avoidance of the sun and other sources of UV light, close attention to nutrition, and careful monitoring by a team of physicians. While avoidance of UV light may be seen as especially important in XP-neuro given the higher cancer rate in XP-neuro, it is nonetheless critical to avoiding loss of eyesight, painful sunburns, and disfigurement in both groups. Trichothiodystrophy (TTD). TTD is another DNA repair disorder that can cause sensitivity to UV light, short stature, intellectual disabilities, and other problems that commonly occur in XP-CS. The primary difference between the two is that TTD patients generally have dry, very brittle hair that has a tiger-tail pattern when viewed under polarizing microscopy. When a hair sample from a person with TTD is examined closely under a standard light microscope, a small number of individual strands generally have breaks that look like the ends of paintbrushes (see our TTD page for a photo). Hair from XP-CS patients does not have this problem. Like CS and many other conditions, the severity of TTD ranges from mild to severe. Severely affected patients may be as small as CS patients, while mildly affected patients may grow to be several inches taller. 1. Sethi S et al. 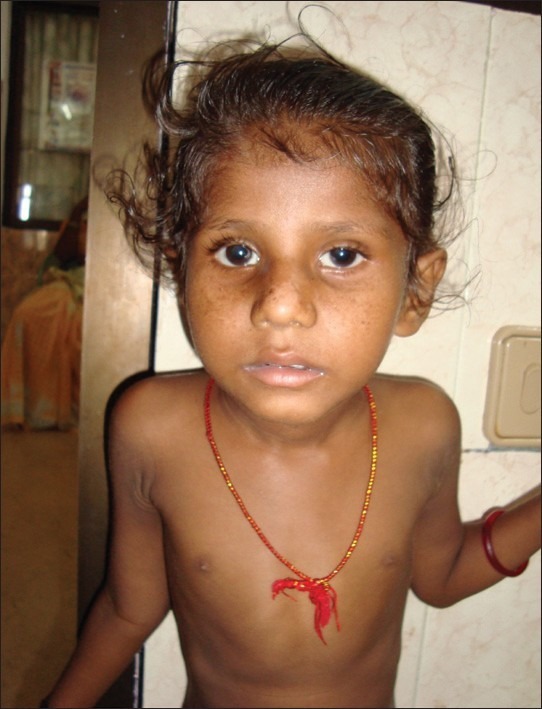 (2013) Patients with xeroderma pigmentosum complementation groups C, E and V do not have abnormal sunburn reactions. Br J Dermatol 169(6):1279-1287. Abstract on PubMed. 2. Kraemer KH & DiGiovanna JJ (2003) Xeroderma Pigmentosum. Updated September 29, 2016. GeneReviews [Internet] Pagon RA et al., editors. Seattle (WA): University of Washington, Seattle; 1993-2019. Full text. 3. Singh UR et al. (2012) Cockayne syndrome-xeroderma pigmentosum complex with demyelination: A rare association. Indian J Hum Genet 18(1):125-126. Full text on PubMed. 4. Zafeiriou DI et al. (1992) Xeroderma pigmentosum group G with severe neurological involvement and features of Cockayne syndrome in infancy. Am J Hum Genet 50(4):677-689. Abstract on PubMed. 5. Broughton BC et al. (1995) Molecular and cellular analysis of the DNA repair defect in a patient in xeroderma pigmentosum complementation group D who has the clinical features of xeroderma pigmentosum and Cockayne syndrome. Am J Hum Genet 56(1):167-174. Full text on PubMed. 6. Hamel BC et al. (1996) Xeroderma pigmentosum--Cockayne syndrome complex: a further case. J Med Genet 33(7):607-610. Full text on PubMed. 7. Horibata K et al. (2015)Constructive rescue of TFIIH instability by an alternative isoform of XPD derived from a mutated XPD allele in mild but not severe XP-D/CS. J Hum Genet 60(5):259-265. Abstract on PubMed. 8. Jaeken J et al. (1999) Clinical and biochemical studies in three patients with severe early infantile Cockayne syndrome. Hum Genet 83(4):339-346. Abstract on PubMed. 9. Kashiyama K et al(2013) Malfunction of nuclease ERCC1-XPF results in diverse clinical manifestations and causes Cockayne syndrome, xeroderma pigmentosum, and Fanconi anemia. Am J Hum Genet 92(5):807-819. Full text on PubMed. 10. Fujimoto M et al. (2005) Two new XPD patients compound heterozygous for the same mutation demonstrate diverse clinical features. J Invest Dermatol 125(1):86-92. Full text from publisher. 11. Fassihi H et al. (2016) Deep phenotyping of 89 xeroderma pigmentosum patients reveals unexpected heterogeneity dependent on the precise molecular defect. Am Proc Natl Acad Sci USA 113(9):E1236-E1245. Full text on PubMed. 10. Natale V (2011) A comprehensive description of severity groups in Cockayne syndrome. Am J Med Genet Part A 155A(5):1081-1095. Abstract on PubMed. Full text from Forgotten Diseases Research Foundation. and atrophy of vermis. See reference 3.